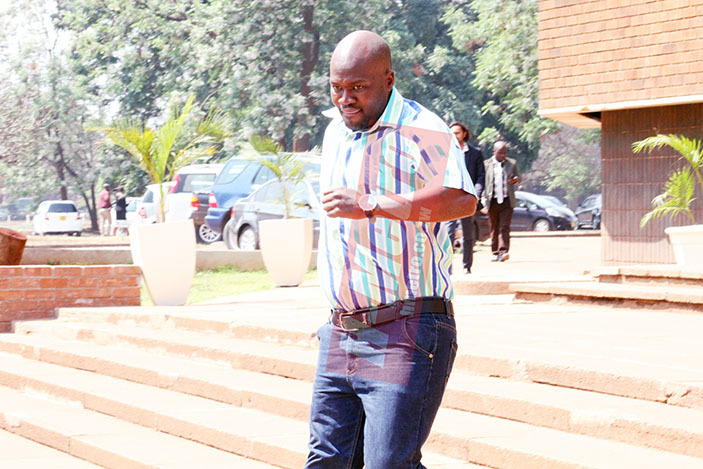 Musician Donald “Sniper Storm” Chirisa, who is accusing his baby mama of theft and malicious damage to property, was yesterday back in court. The chanter’s girlfriend Paidamoyo Mpopoma, 25, appeared before Harare magistrate Tilda Mazhande who rolled over the matter to September 25 for continuation. She pleaded not guilty to both counts. In her evidence to the court, Paidamoyo said she had just eloped to the Tsvigiri Muhuchi hitmaker but was refused entry into his home. She is claiming to be a few weeks pregnant for the chanter. Paidamoyo is said to have spent the night outside and was later allowed to rest in a spare bedroom the following morning. The 25-year-old is also alleging that she went without food for days after the chanter travelled for a show in South Africa on September 1 to 4. She further highlighted that whilst he was away she forced entry into his bedroom where she took 12 bottles of alcohol, which she took to her friend’s place and sold some. The alcohol was valued at $350. Paidamoyo also accuses the entertainer’s mother of using superstition after she sprayed substances at her son’s house in trying to chase her away. Value of the damaged door is $60 while $300 worth of alcohol was recovered.